Have you seen those funny and unique welcome mats on the Internet lately? 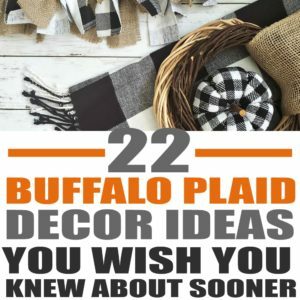 If so, I bet you’ve already done your research to see how much they cost ($25-$40 for a special order on Etsy!). 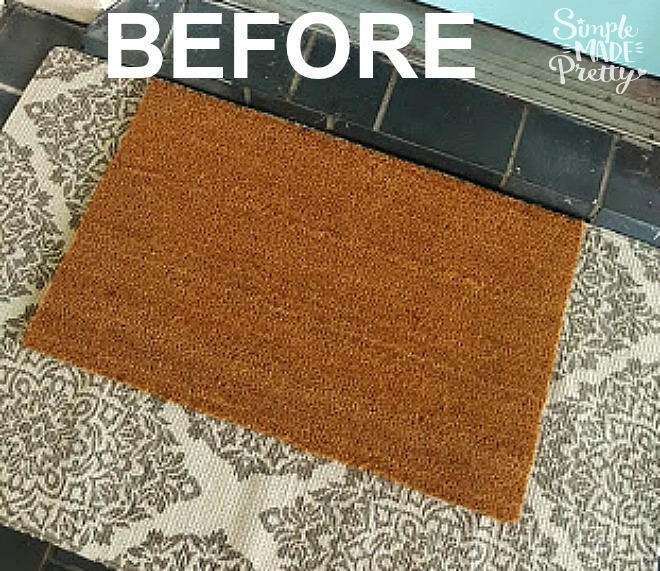 These welcome mats are super easy to DIY and personalize with your own creative design (while saving money) and I’ll show you how in this post. 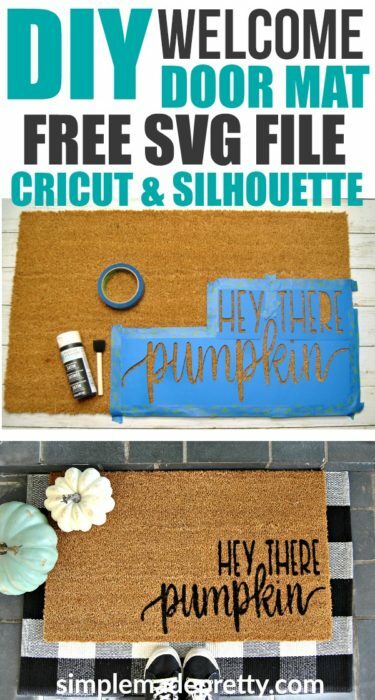 This Fall Welcome Door Mat With Free SVG File is also an easy way to update your front door decor for Fall! 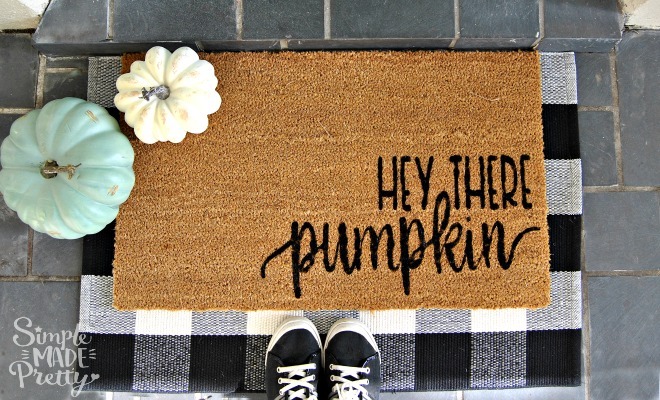 ✅ The plain doormats I prefer for DIY projects can be found here and they are a good size to easily personalize! 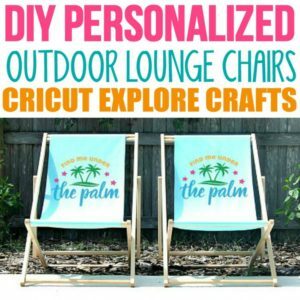 You’ll need a Cricut Explore or Silhouette cutting machine to make this project. 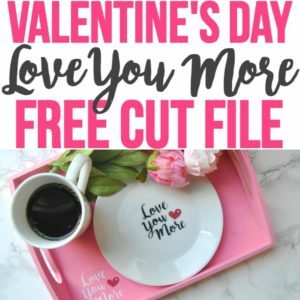 Just upload the SVG or PNG in the program you use (I use Cricut Design Space), size, cut, and apply! 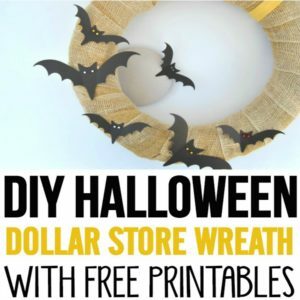 If you don’t have a cutting machine, you can use an alphabet stencil found at your local craft store to create a similar design. 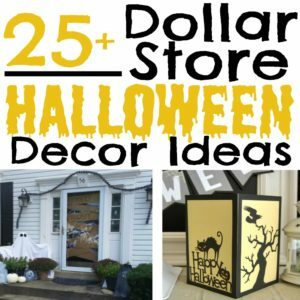 My favorite online resource to find SVG files to make Cricut craft projects is DesignBundles.net! –>>Click here to see the latest bundle with the best SVG files online! This doormat was so easy to make, I ordered 5 additional plain doormats to make for other holidays. Our new house in Florida has 6 exterior doors… that’s a lot of doors for a 1600 square foot house, right? So I figured that I need a doormat for all 6 doors, hehe. Gather supplies. You will need a plain doormat (I used this one which shipped to me in 2 days for free! ), fabric paint (this type of paint is waterproof to guard against rain, etc), stencil brushes (you can find a pack of these at your local craft store – I wash mine out after every use to extend the life), painters tape (you can find it at your local craft or hardware store), and a stencil ( I show you how to make a stencil using the free SVG file and a Cricut machine below). 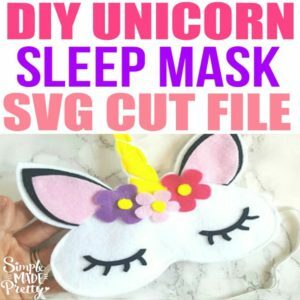 Download the SVG file and upload to Cricut Design Space. 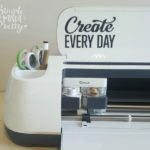 Do you need help uploading a file to Cricut, let me know in the comments or send me a message, I’d love to help! Size the image depending on the size of your doormat. If you purchase the doormat I mention above, my image was sized 19.5″ x 9.7″. Cut and weed the image (remove the negative part of the cut image, in this case, you will remove the letters inside). I used heavy cardstock to create my stencil. 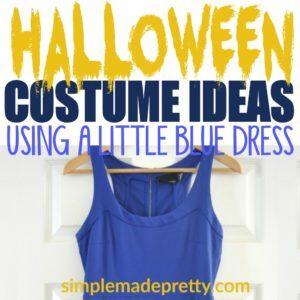 You could use stencil material if you plan to use it again. I throw away the cardstock but you might be able to get another use out of it, depending on the wetness from the paint. Arrange the image on the doormat using painters tape to secure. I had to carefully place the center for the “p’s” the “r” and the “k” and put a small piece of painters tape behind each to secure to the mat. You will need to be very careful when applying paint around those areas. Use paint and stencil brush to paint inside the image. Wear gloves because you will need to use your fingers to hold down some sides! I use these gloves for every project around the house (so I don’t mess up my nails) and the hubby uses them for big house project too. Peel off the vinyl stencil right away to reveal the finished project. You don’t want to leave the stencil on there for very long otherwise the cardstock might stick to the mat. 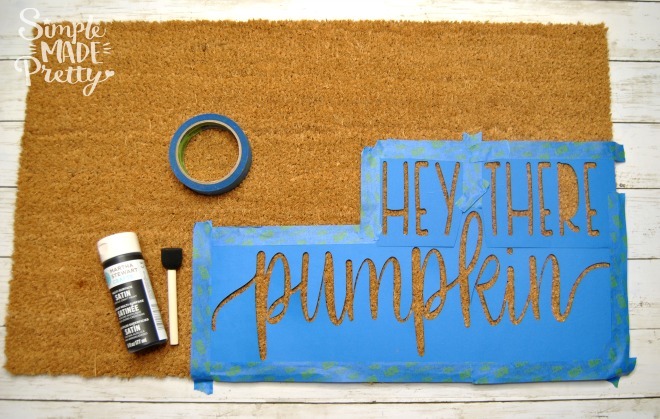 You can fill in any spots with a black sharpie or more paint with a small brush. Let dry for 24-48 hours before placing outside (in case it rains – fabric paint needs time to dry completely before becoming waterproof). 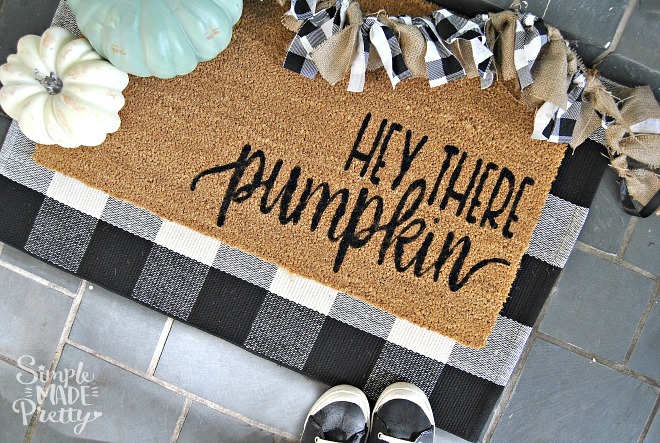 This Fall Welcome Door Mat will surprise your guests while personalizing your home decor. I can’t wait to try more designs for upcoming holidays and share them on Instagram! 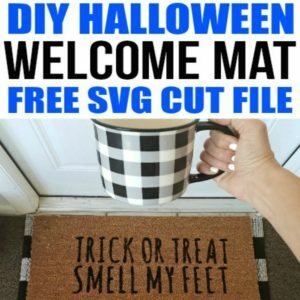 I’ve already come up with DIY Welcome doormat ideas for Halloween, Thanksgiving, and Christmas so be sure to subscribe to get my emails and updates with more SVG files! Learning how to use your Cricut is really easy and fun once you get the hang of it. I love using Cricut Design Space print then cut feature. If you don’t have a Cricut Access Membership, I highly recommend it. I’ve had a Cricut Access Membership for years and it’s definitely worth the cost for all the benefits! ✅ This is the Black and White Buffalo Plaid Rug I used to create the layered look AND don’t forget to grab these plain doormats to make your own personalized welcome mats! Grab the Free SVG File! Psssssttt…Right now I’m offering FREE access to our Digital Resource Library to all of our newsletter subscribers. 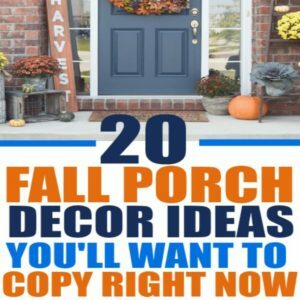 Your private access includes dozens of free printable crafts, home decor and organization guides. Hurry up and grab your freebies here! (Access instructions are sent after subscribing). I’m going to be doing this mat as my first official Cricut project ever! Just got one for my birthday. My question is on letters like the R or O. 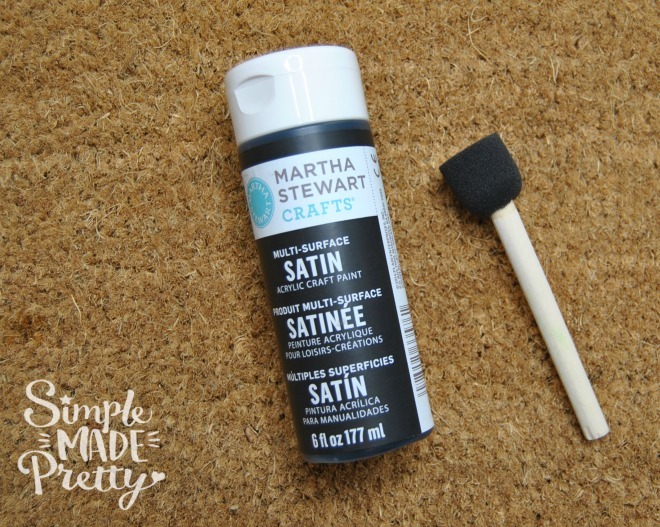 Do you place the circle that has been completely cut out back in when you are painting? Hope this makes sense! Thanks for the tutorial! Congrats on receiving your Cricut! Yes, as mentioned in the steps in the above tutorial, you will carefully place the center for the “p’s” the “r” and the “k” and put a small piece of painters tape behind each to secure to the mat. You will need to be very careful when applying paint around those areas. Oh my gosh! 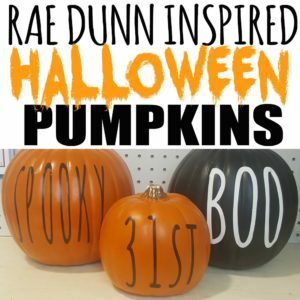 I am so excited I found your blog by way of Pinterest!!! I have since this mat before and was looking for a diy way of making it, since I too have 6 exterior doors. 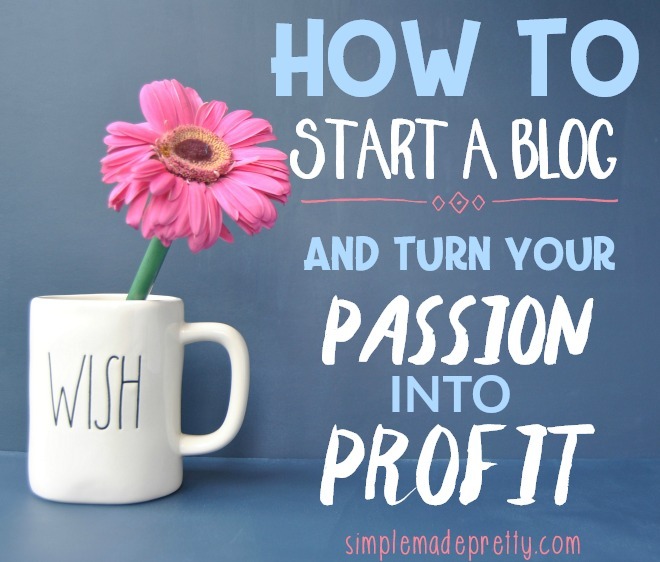 Thanks so much for the easy to follow step by step blog post. Looking forward to follow you!